Andy Nelson is a community leader who believes in the power of people helping people. He has worked for more than 25 years to unite diverse people, businesses and organizations to create a common vision and lasting change. Andy joined Impact NW in July 2016 as Associate Director, with primary oversight of development, communications and branding. It was a homecoming of sorts. Andy served as Development Director of Impact NW from 2000‐2002. He went on to lead Hands On Greater Portland’s evolution from a start up to the region’s leading volunteer service engine. Andy next led Big Brothers Big Sisters to become Oregon’s Most Admired Nonprofit in 2014. Andy is past chair of the Portland Parks Board and vice chair of Partners in Diversity – the people who bring you Say Hey! 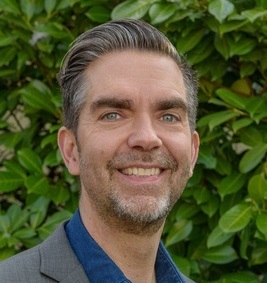 A native of New England, Andy earned a Master’s in Social Work from the University of Connecticut and is a 2008 graduate of Leadership Portland. He lives in Northeast Portland with his wife and son. Steffani Cuff has served Impact Northwest within the Quality Assurance department since 2014. 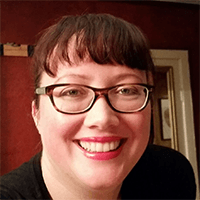 She has over 8 years of experience writing policy, performing program evaluations and measuring consumer satisfaction in the nonprofit arena in Oregon. She received her Undergraduate Degree in Economics from the University of Oregon. 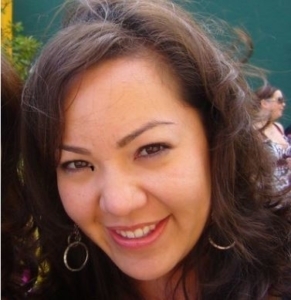 Prior to her employment with Impact NW, Steffani served in quality improvement and administrative roles for the Lane Regional Air Protection Agency and the UO Environmental and Natural Resources Law Center. As Impact NW’s Quality Assurance Director, Steffani has implemented initiatives to increase contract compliance, quality improvement, client satisfaction, cultural competency, federal privacy and security law fidelity. She oversees agency wide policy and procedures, the implementation and evaluation of program goals, SOP–client and documentation trainings, contract management, risk assessments, the monitoring of agency wide data collection and reporting systems, department strategic planning and serves as a liaison between clients, staff and leadership. Steffani also product manages INW’s internal case management applications; Collective Force and BEffect. During Steffani’s tenure here at Impact she has served as Equity, Diversity and Inclusion Coordinator. She has also served as Chair of the EDI Committee, and has participated in the Safety Committee and the Domestic Violence Committee. Outside of Impact, Steffani is a community philanthropist and consultant. 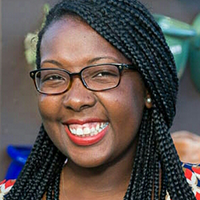 Steffani’s focus is on growing and empowering minority and women owned businesses in the Portland metro area. Beth Gibbs has more than 10 years of human resource and non-profit experience. She works with the Impact NW leadership and staff to ensure our HR strategy supports the organizational goals and mission at every level. 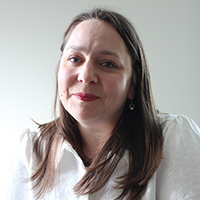 She has been with Impact NW since 2007 and in her current role as HR Director since 2015. 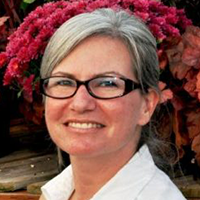 Beth is a certified HR senior professional with both SHRM and HRCI and a trained mediator. She holds a bachelor’s degree from University of Oregon. Originally from a small town in Eastern Oregon, she loves traveling every inch of the state, from coast to forest to desert. Jana joined Impact NW’s Housing and Safety Department in February 2011 after immigrating from the Czech Republic in 2010. She holds a Master of Law Degree, and prior to her employment with Impact NW, worked for the Office of the Government of the Czech Republic in the Prime Minister’s legislative office. Sharing similar experiences with many of Impact NW clients from the early stages of her immigration, Jana has a deep understanding of issues such as poverty and lack of resources. Because of that experience, she is also aware of the need for empowerment, trauma informed care, wrap around services, and community support. In her role as the Director of Housing and Safety Net services, Jana oversees our housing services, veteran programs, energy assistance, and recovery and resource navigation services. 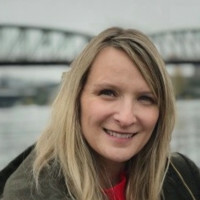 As an involved member of the Czech and Slovak community in the tri‐county area, Jana keeps busy helping new immigrants navigate systems in the US, and serves as the President of the Board of the Czech School of Portland. Julie Houston has been the Director of Early Childhood & Family Services since July 2010. Julie comes to Impact NW with a Master’s degree in Education, 16 years experience teaching in Early Childhood classrooms, seven years supervising student teachers in Early Education programs, and five years as an adjunct faculty member in the Early Education and Family Studies department at Portland Community College. After the birth of her first child, Julie began to focus her efforts on working not only with children, but with families as a whole. 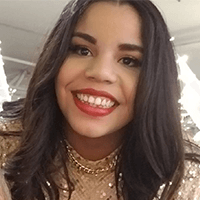 Her passion is helping individuals and families realize their value and importance in the lives of children, as well as in their local schools, communities, and society. Since joining Impact NW, Julie’s passion has led her to become a leader in the community, volunteering for Stand for Children and for the North Clackamas School District, and supervising Impact NW first Healthy Start program until she became a Director. With over 10 years of experience, Kendra’s career began by providing direct services to children, youth, families, and communities. Kendra began working at Impact NW in 2009 and has a strong background in community outreach and working with marginalized and oppressed identity groups. She is passionate about effecting systemic change, which led her to take on a leadership role at Impact NW in 2015. Kendra is an alumna of Portland University, receiving a Master of Social Work degree. She also holds a Bachelor’s degree in Family and Human Services from the University of Oregon. Kendra is a proud member of Alpha Kappa Alpha Sorority Inc.—a community service organization led by African American college-educated women that is continually leading effective advocacy and social change for equality and equity for all. Mamak has been with Impact NW for over 33 years. In her current position, which she has held since 1999, Mamak oversees all agency services for seniors and adults with disabilities including transportation, case management, educational and recreational activities, and caregiver support. 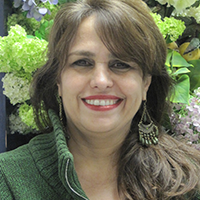 Mamak holds a Bachelor’s degree in Communication from Lewis & Clark College and a Master’s degree in Social Work ‐ Counseling Education from Portland State University. She is a certified mediator and is fluent in Farsi. Mamak also sits on the Regional Transportation Coordinating Council’s Executive Committee. In addition to spending time with her family, Mamak is incredibly active in her life outside of Impact NW. She’s an active participant in Portland’s Iranian community and currently sits on the Board of Directors of the Iranian Seniors’ Club amongst her many other commitments. Anna (they/their/theirs) has lectured on inclusion, race, and social justice on four continents, with the aim of affecting institutional and organizational change. 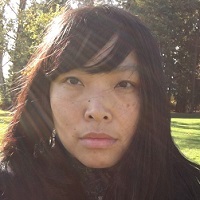 A native Vietnamese speaker, Anna is an experienced youth worker, programmer and educator focused on the empowerment of young people, students and People of Color. In the three years they have resided in the US, they have professionally trained staff from over 100 organizations in Oregon around Inclusion, Trauma-Informed Care, Restorative Justice, Inter-cultural Communication, and STEM and Art Practices. Anna brings with them a rich, varied background, having lived in 8 countries and previously taught workshops, regarding cultural inclusion and working with asylum seekers, at the Alice Salomon University for Social Work in Berlin, Germany. Anna has years of experience of advocacy and social justice work and such, understands that race and ethnicity play a defining role in one’s life experiences and outcomes and these deeply-rooted inequities have vastly negative social and health outcomes for people of color, and need to be at the forefront of how we shape our policies and our direct work with clients in need. As Executive Manager, Mari works with the Impact NW Board of Directors, Leadership Team and staff to support strategic planning and implementation, drive organizational goals and success, identify and improve core processes, manage internal communication initiatives and oversee operations. Mari joined Impact NW’s Development Department in 2011 and has served as Community Involvement Manager as well as Grant Writer. She holds a Bachelor’s degree in Social Sciences from Portland State University. Mari has served as a Board Member for SE Uplift and volunteered with East Portland Neighborhood Office’s Community Activities Fund and IRCO’s Asian Family Center. She enjoys spending time with her friends and family, supporting local diversity initiatives and traveling. Ada Dortch has been with Impact NW since 2013; first as the Grants Director and then as the Development Director in 2018. She brings over 10 years experience in non-profit fundraising, program development, and project management. She previously worked in a large hospital system, and with an international human rights organization where she was responsible for program development and fundraising across 40 countries in Europe and Central Asia. Ada also comes from a social work background and brings these experiences with her in her fundraising role. Ada is committed to helping the community where she was born and lives. Ada resides in NE Portland with her husband and her fantastische 4 year old.